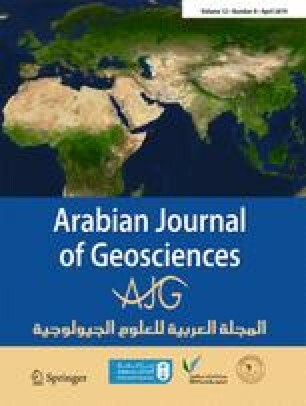 The identification and reconstruction of karst fracture networks have always been an important and difficult research topic in the field of karst groundwater resources and geological environment protection. Based on the original surface fracture data obtained in Zhangfang, Fangshan district in southwest of Beijing, and the surface fracture records processed through the Kriging interpolation method, we propose a method for the construction of a flow path based on a disk model. We focus on identifying the flow path in a three-dimensional fracture structure and underground fracture data obtained by the Monte Carlo method. The flow path along the fracture generalized by the disk model is simulated using a directed graph data structure and is stored in an adjacency matrix. To meet the demands of fast intersection operation with large-scale fracture data and to improve the operating efficiency of a karst fracture simulation system, this paper first divides the study space into smaller blocks and then uses a three-dimensional R-tree index algorithm to reduce the time required to traverse each sampling point. Finally, based on the sampled surface fracture data from Zhangfang, this paper studies the distribution model for a three-dimensional fracture space with the assistance of a remote sensing geological survey, fine geological survey of key karst areas, and sampling analysis. The algorithm for building the path of karst fractures was also simulated. It provides a visualization analysis approach to study the karst development mechanism and numerical simulation of karst water fractures in Zhangfang. This study was supported by the Beijing Natural Science Foundation (Grant No. 8172046), the National Natural Science Foundation of China (Grant No. 41771478), and the Hebei Province Natural Science Fund (Grant No. D2016210008).